What could go wrong when dating both an Angel and a Demon, much less taking them both home for Christmas dinner with the family? 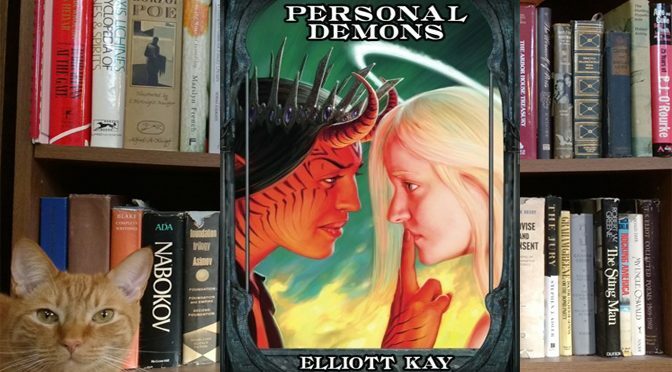 Personal Demons continues the interesting saga of our hero Alex as he deals with divine visitations, supernatural enemies, and the echoes of reincarnation. 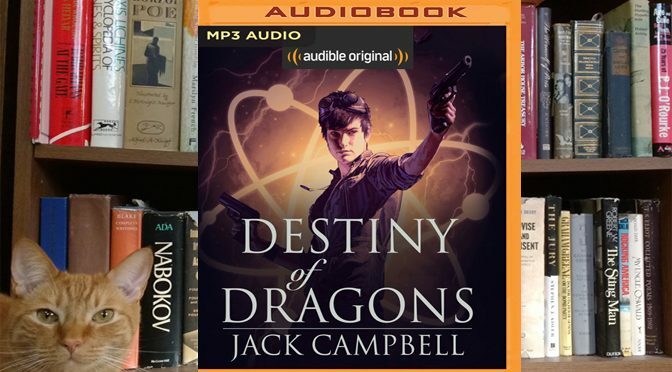 The sequel to The Pillars of Creation novel, Destiny of Dragons is the third book in the Legacy of Dragons series by Jack Campbell. This one ends the series in a big way. 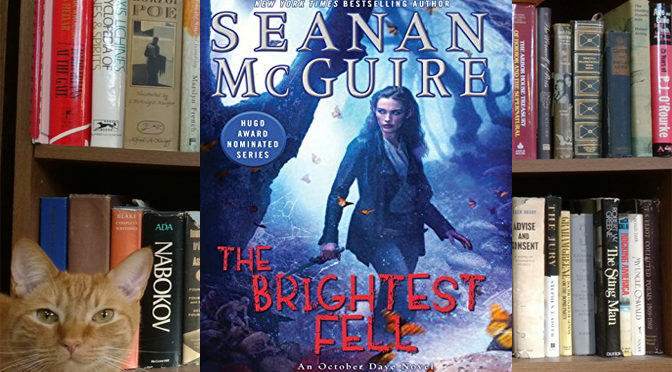 It’s a great trilogy, and we can’t wait until more stories are available. Things start off slow for October Daye in The Brightest Fell. But then her mother starts taking hostages, and Daye must work with some previous enemies to solve one of the greatest mysteries still plaguing their world. It’s been a little while since we covered the October Daye series. 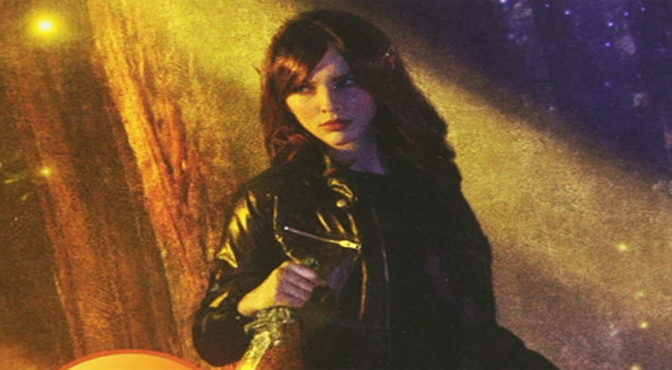 Once Broken Faith is actually book ten in the series. This one dives deep into sleazy Fae politics, but also has a quite a lot of action. If you have not been following this series, consider starting with this one. A neat if unusual fantasy, The Dinosaur Lords book has been described as Game of Thrones with dinosaurs, which is not all that inaccurate. The book is filled with bloody intrigue and political plotting, which also happens to involve dinosaurs. 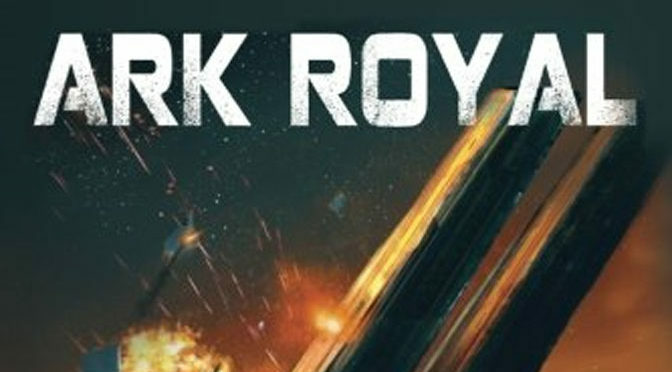 Enlist for service with the Ark Royal, the most misfit battlecruiser to ever sail into space. But this clunky old dog is about to get a wakeup call, when its old systems are needed against a powerful enemy. Yea, it’s not an original tale, but a good one. 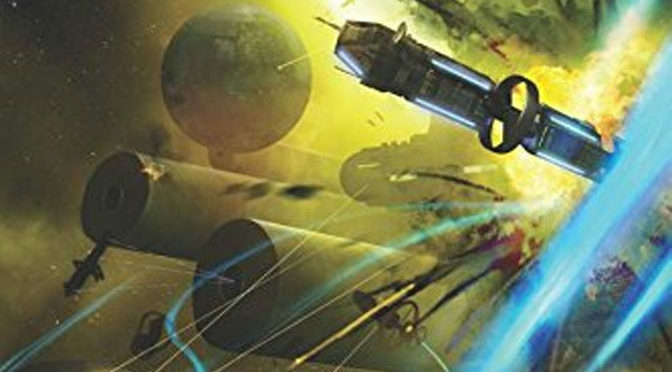 In book three, Bob learns that being a sentient spaceship really should be more fun. But after spreading out through space for almost a century, Bob and his clones just can’t stay out of trouble. 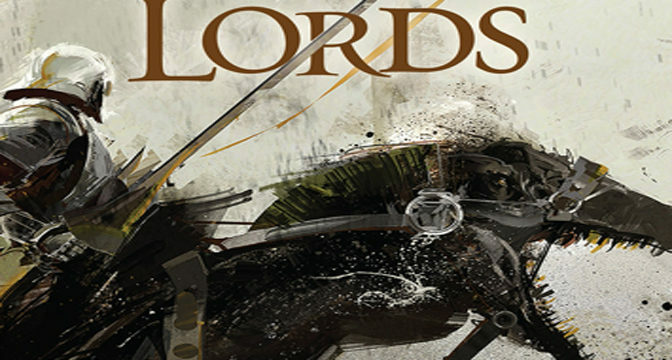 An excellent title, if it heralds the end of the series, it will have gone out on a high note. 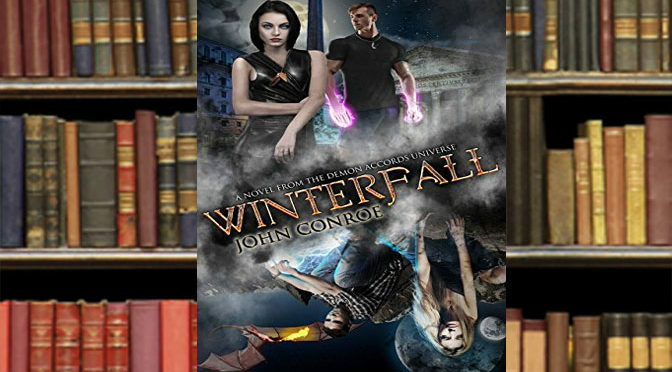 The 12th entry in John Conroe’s Demon Accords book series, Winterfall proves that masterful prose, a compelling story and unique characters can drive through multiple novels. If anything, the Demon Accords series gets even hotter with Winterfall. 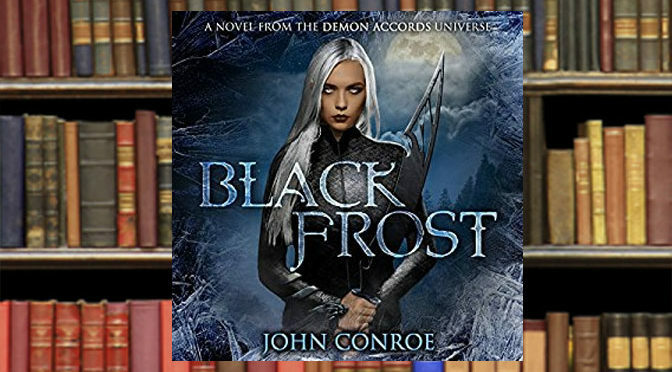 Black Frost is book 4.5 in the Demon Accords series by author John Conroe. As such, this is a smaller book, only 114 pages in paperback. But it’s unique in that it largely ignores main characters, focusing on interesting subplots going on behind the scenes. 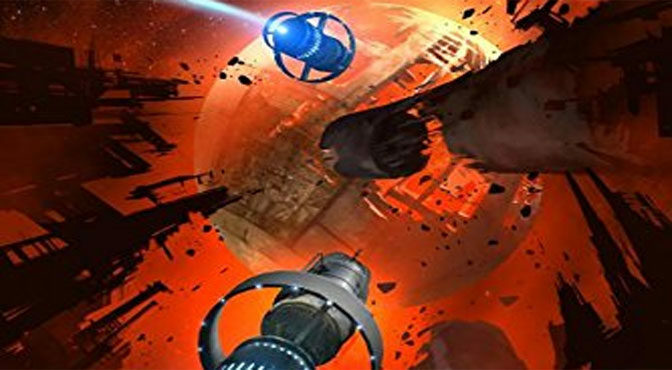 Following up on the quirky We are Bob, We Are Many finds the hapless Bob Johansson still dead, and his intelligence still powering space probes looking for habitable planets. But everything else has changed, including the loss of most of the rest of life on Earth.